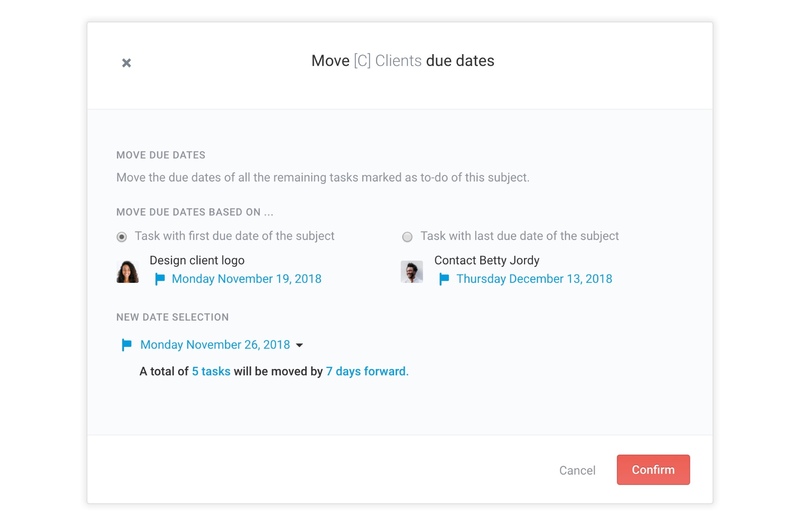 You can move all of a subject's due dates in a few clicks. This feature is reserved to users on the business plan. In order to move a subject's dates you first need to open the subject in question. Then click on the subject menu and choose the Move all dates option to display the dedicated window. From there you will have the possibility to choose between the tasks with the first or last dates of your subject to serve as reference for the next steps. 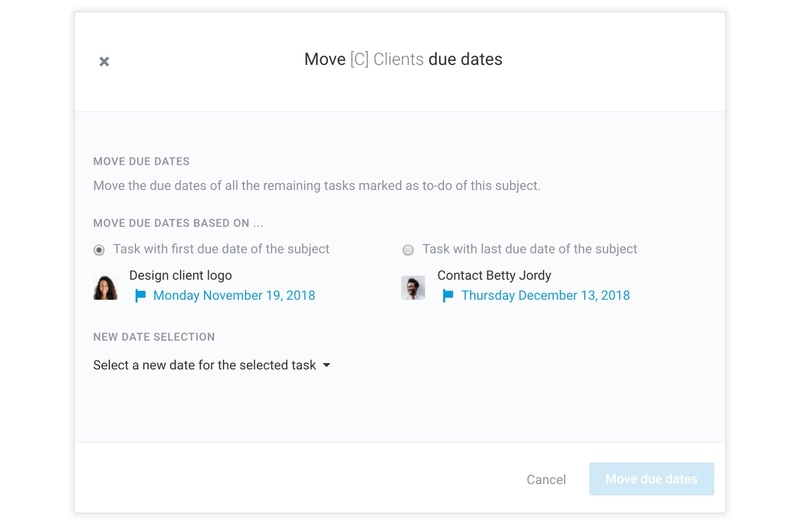 You will also have to pick a new date for the task you've previously selected. We added the day of the week on the dates displayed above to allow you to select the new date taking week days into account. Bear in mind that moving your tasks' due dates might mean that the new due dates end up on a weekend. To avoid this you can select the same day of the week as the one already on the task, but at a different date. 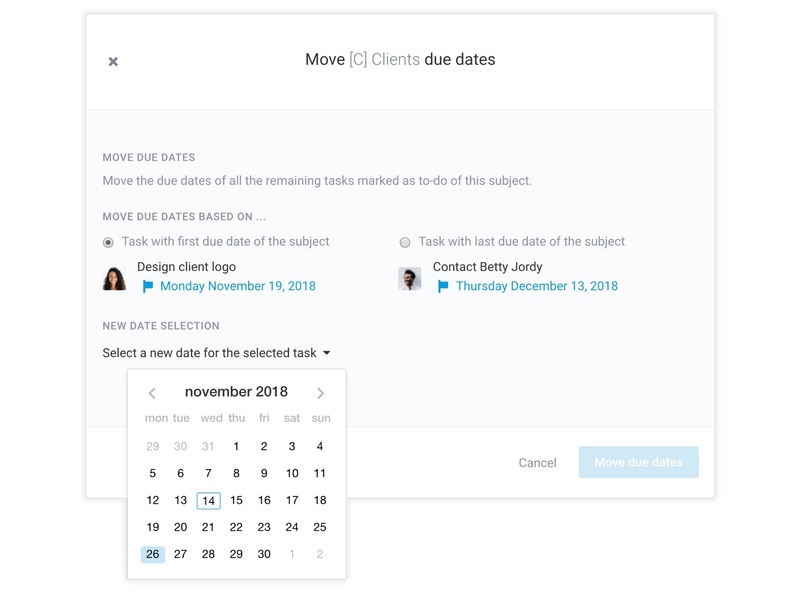 Once you have selected your past and new date, a summary will let you know how many tasks you are moving and by how many days forward or backward. You can always adjust your settings before continuing. You will need to click twice on the confirmation button to start the operation. The next page on the window will confirm that all dates have been moved successfully once the operation is complete. 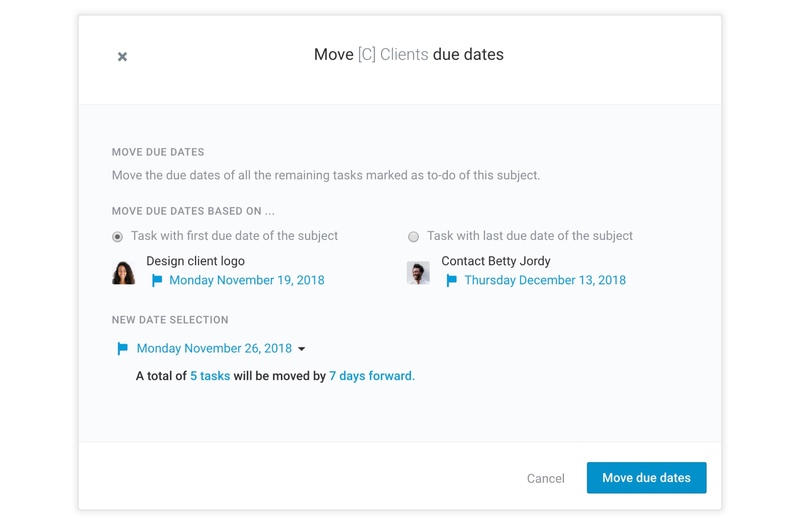 All of the tasks which due dates have been moved will have a trace of the operation in the task logs with the name of the person whom initiated the move.